There's no better way to see the iconic Chicago skyline than a dinner cruise on Lake Michigan. 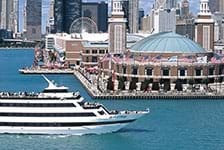 Set sail from Navy Pier on a luxury cruise and enjoy a delicious dinner along with great entertainment. 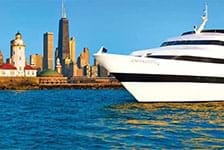 Chicago dinner cruises are an amazing way to see the city for both residents and visitors alike.